There are a lot of features that cannot be accessed on Facebook with the mobile app. When you visit Facebook in a web browser , it will by default show you the mobile version of the site. However, there are some steps you can take to access the full version of the web site on any mobile device. If you'd like to see the full version of Facebook on your browser, there are some options. Log into your Facebook account using the mobile version of the website on the mobile device. Now type “https://www.facebook.com/home.php” in your browser, then select “Go“. Be sure you type the URL it exactly as is specified. The full desktop version of Facebook would then be displayed in the browser. Android browsers such as Chrome, have an option to view the desktop version of the page already built in. In Chrome, you can select the 'Menu' button which is located at the upper-right corner, and then choose “Desktop Site“. You can change the UA String or User Agent String within the app settings to reflect a desktop browser in some cases. This allows the browser to always show the full desktop version of the websites you visit. 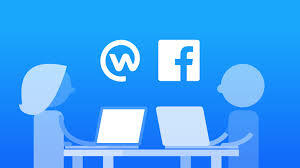 You will then be able to view the full, desktop Facebook site and have access to all of the features you would have on your desktop computer right from your Android device. Log into your Facebook account using the mobile version of the website. Now type in “https://www.facebook.com/home.php” in your browser. iOS8 – Click on the URL in the address bar. The text will become highlighted and the Bookmark list will appear. Then, beginning from immediately below the address bar, swipe downward, and select the 'Request Desktop Site' option. The desktop version of Facebook will then be displayed on your iOS device.